We hope you enjoyed a relaxing and fun break over Christmas and New Year! The Masters Team is on back on full-throttle getting our entry forms and 2017 Event Brochure ready to send to you so you can start booking your races for the season ahead. They are almost ready and should hit the presses within the next two weeks – keep an eye on your postbox in early February. We have some new membership offers, hotel deals and great ideas for our ‘Rough Guides’ so we hope you can make the most of every Masters Event weekend! But, before all the paperwork starts we have three events for your diary which are all of a more sociable nature…. Firstly, there is the 2016 Masters Awards Party which will be at El Trabuc restaurant in Granollers, Barcelona on Saturday 8th April as part of our sunshine filled start to the season at the Circuit de Barcelona-Catalunya. Everyone is invited for this relaxed party-style Awards so why not pack your smart shoes and join us on the Saturday night and help get 2017 off to a great start? Booking forms will be sent out early next week! But, if you are missing the Masters Team and would like to catch up with us before April we will be at two exciting exhibitions in February in London at Olympia and Excel where we will be available to talk 2017 racing and more! 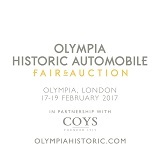 First up is the Olympia Historic Automobile Fair & Auction, which is being held at Olympia London on 17-19 February. 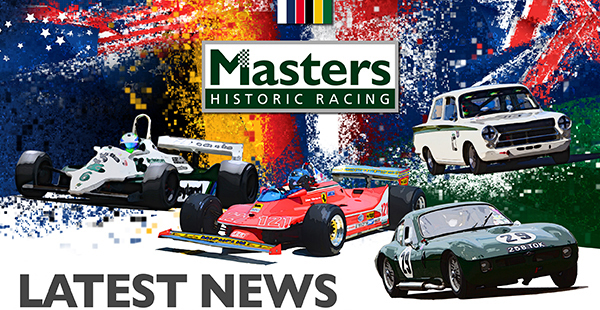 Masters are delighted to be a part of this new exciting event will allow visitors to look, touch and feel some of the world’s most breath-taking marques. From concours restoration to provenance, whether you’re thinking of buying a new race car (even better if it can race with Masters!) or interested to know how to maximise your investment, this event will provide you a place to both indulge in your passions and acquire your next historic automobile! 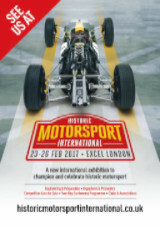 And then Masters will also be on show the following weekend at the Historic Motorsport International (HMI), another new event which is celebrating historic motorsport at the ExCel Arena in London from February 23rd -26th The show runs alongside The London Classic Car show and will showcase historic race and rally cars, including many for sale, promote leading preparers and restorers and will allow you to get the heads up on the Masters 2017 season! We have exclusive VIP tickets to offer Masters Members for both events so keep an eye on your inbox for exclusive offers in the next few days.